(91outcomes.blogspot.com) -- A World War I former chemical munitions site in a residential neighborhood in Northwest Washington, DC, rediscovered accidentally in 1993, has been found to contain Lewisite and Mustard chemical warfare agents. The full article follows below. Both Lewisite, with its characteristic smell of geraniums, and Mustard, with its telltale onion/garlic odor, were created in large quantities by the pre-1991 Gulf War Iraqi military-industrial complex. 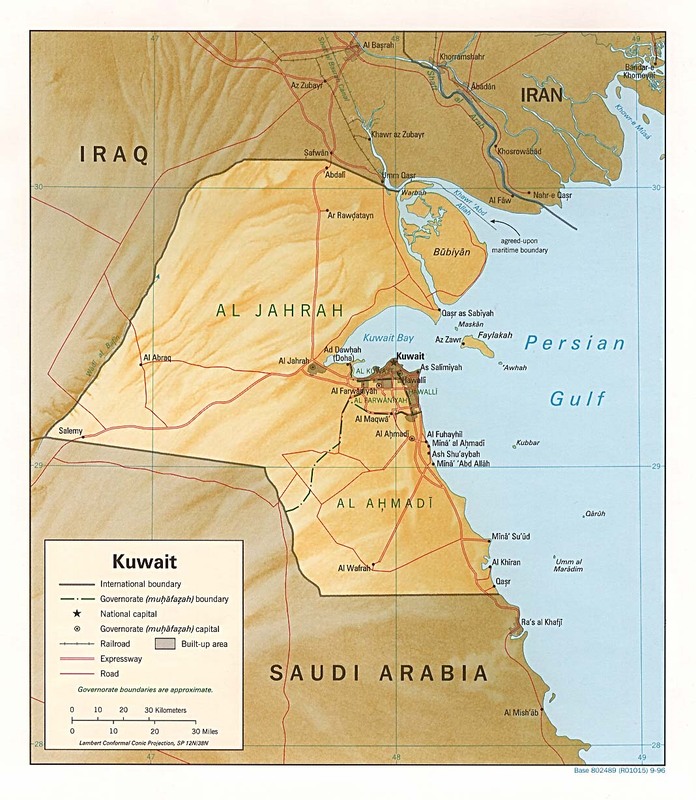 Lewisite-Mustard chemical weapons were used by Iraq to devastating effect during the eight-year Iraq-Iraq War that preceded the 1991 Gulf War. U.S. and Gulf War troops were exposed to sarin and cyclosarin and may have been exposed to mustard chemical warfare agent gas vapors at the close of the 1991 Gulf War following unwitting detonations and a toxic cloud thereby released at the Iraqi munitions depot at Khamisiyah, Iraq. In 1997, the Pentagon has confirmed one Gulf War soldier's chemical burns by mustard, Private David Fisher -- though it later downgraded its official evaluation from "likely" to "indeterminate. Another Gulf War veteran testified in 2005 to the federal Research Advisory Committee on Gulf War Veterans' Illnesses about his unit's discovery of freshly vacated Iraqi bunkers in a complex near Shumayah and Qasr as Subiyah, Kuwait, just north of the Kuwait bay and west of Bubiyan Island, with the characteristic geranium and onion/garlic odors in each of the bunkers, still filled with the Iraqis' personal equipment, including numerous unfinished plates of food -- something soldiers never leave behind. A 1996 CIA report, which was met with heavy criticism at the time by Gulf War veterans, states that there was no intentional release by chemical warfare by the Iraqis during the 1991 Gulf War. It is unclear whether information provided by Gulf War veterans about known releases has ever been favorably evaluated by CIA, DOD, or other government entities. However, a former CIA analyst's book, "Gassed in the Gulf," detailed Patrick Eddington's professional conclusions that the Iraqis did in fact intentionally release chemical warfare agents during the 1991 Gulf War. Eddington has been a frequent news commentator on defense and intelligence matters, and is currently a senior Congressional staffer on Capitol Hill in Washington, DC. The illnesses and injuries that result from exposure to Lewisite and Mustard vapors are in common with many of the respiratory and sinus ailments about which thousands of Gulf War veterans have reported during and following the 1991 Gulf War. Yet, the federal governments of the U.S., UK, and coalition partners have done little to determine the extent of these chemical injuries to Gulf War troops, almost certainly because initial U.S. reports in the 1990s have remained unchallenged. Unknown to many Gulf War troops, while Mustard agent causes immediate damage at levels where the odor is detactable, symptoms from the exposure don't develop until hours to days later. The U.S. Department of Health and Human Services (HHS) provides more information about Mustard and Lewisite on the Agency for Toxic Substances and Disease Registry (ATSDR) website. Additional information is provided by CBWInfo on Lewisite and Mustard. Symptoms from vapor exposure include respiratory ailments and were shown in the years following WWII Lewsite-Mustard experiments to cause lasting sinus, lung, and gastroesophageal symptoms in those exposed. Seems everywhere the military sets up shop, it often leaves a mess, sometimes a toxic one. Since the Washington region is home to many forts and bases, airfields and Navy yards, we are also the home to a few toxic waste sites. With great irony, the most toxic site is also in one of the capital city’s most elite neighborhoods: Spring Valley. The Northwest community, by the Maryland line, has been home to presidents and generals and senators for decades. And since the U.S. Army used the farms and forests around Ward Circle to develop chemical weapons for World War I, it has been the resting place for bombs filled with mustard gas and arsenic and poison gases such as arsine. The U.S. Army Corps of Engineers has been in charge of cleaning up Spring Valley, since the chemical weapons were first discovered in 1993. It says the job is done. It has dug deep pits and collected unexploded bombs and it’s ready to explode them — right in Spring Valley. As for “suppression of information,” the Corps in Spring Valley has few rivals. But the federal government at large is responsible for a massive cover-up. Back in 1918, military scientists sent out a request for poisons. A chemist across town at Catholic University concentrated arsenic to create Lewisite, known as the “dew of death,” because one drop could kill. The Army tied goats and dogs to trees in Spring Valley, dropped bombs of chemicals and watched the animals die. For more than 70 years, the experiments and the chemicals left in the ground remained secret. A contractor uncovered a stash of bombs in 1993, and the Corps investigated. In 1996, it declared the job done. It took watchdog D.C. health officials and journalists to uncover more toxic waste and force the Corps back to work. On Friday, I visited one of the worst toxic pits, at 4825 Glenbrook. The brick mansion and its stately stone neighbor are still fenced off. Traffic is still diverted. There’s heavy equipment in the driveway, and Army trailers sit in the American University campus on the hill above. Reporting on the story in 1998, I found that landscape workers had been burned by toxic agents in the stone mansion’s yard, and residents of 4825 had come down with cancers that could have been related to the chemicals. Neighborhood activists such as Kent Slowinski testified at Norton’s hearing that letting the Corps explode the bombs on its current site, near Sibley Memorial Hospital, is unsafe, at best. Given the government’s general lack of honesty and willingness to cover up information for the last 70 years, we are fortunate to have Norton in the position to make sure Spring Valley residents are safe. She could perform the same duty for residents across the region.